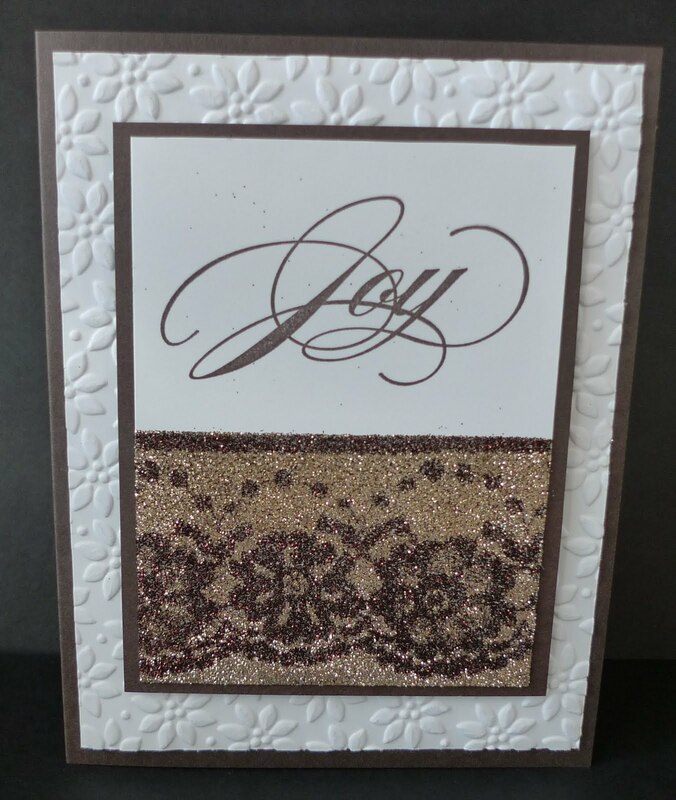 Karina's Kreations: The Sounding Joy Glitter Card! 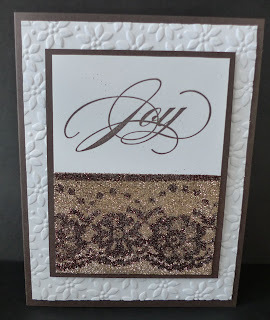 The Sounding Joy Glitter Card! Put your glasses on because this card is sparkly!!!! 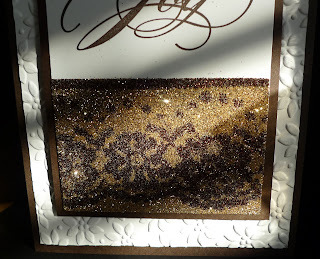 I tried to capture the card in the sunlight but it didn't work as well as I like. You'll just have to make your own version. Step 1. Buy Polyester Lace at a fabric store and cut to the size of your paper. 2. Cut a piece of Sticky Sheet slightly larger than your lace. Lay your Sticky Sheet onto some card stock and peel off protective coating. .
3. Lay lace overtop of the sticky paper. 4. Sprinkle glitter from the Fine Galaxy and Fine Supernova glitter stacks over your sticky paper. Rub it in with your finger and tap off excess. 5. Remove the sticky sheet and pour another layer of glitter but in a different color this time.